Arrowhead vine, photographed at Woodmont Natural Area, Tamarac, Broward County, in October 2014. This is another one of those plants that seemed at the time like a good idea to bring to Florida. 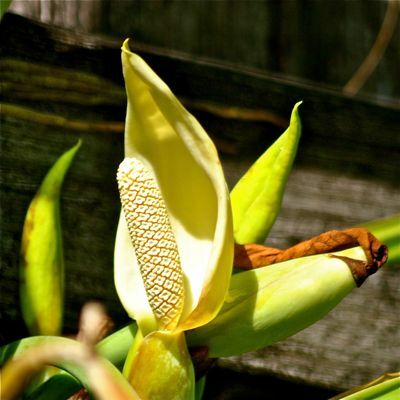 It's attractive and a vigorous grower, perfect as a houseplant. And as a houseplant, it's not a problem. Plant arrowhead vine outdoors, however, and it's a big problem. Florida officials have labeled arrowhead vine, Syngonium podophyllum, as a Class I invasive, meaning it's in the wild and doing damage to natural habitats. Arrowhead vine is a native of Central America, and brought to Florida in 1979, most likely by a plant enthusiast or grower taken by its looks. The USDA says the plant is found only in Florida among the 50 states, and in Puerto Rico and the Virgin Islands. 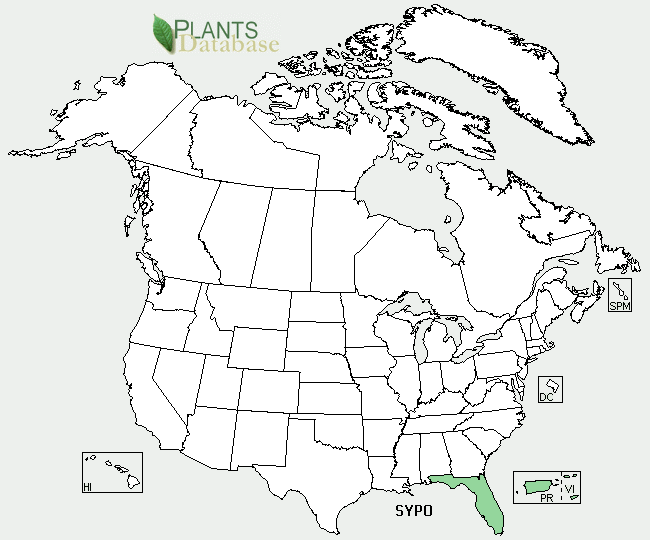 In Florida, it's found from Alachua County south, mostly in coastal counties to the Keys. The plant flowers in summer and fall, produce red berries that can be severely poisonous to humans. The "good" news is that it rarely, if ever, actually produces fruit, so it's unlikely to harm anyone. Oddly enough, the places where it seems to fruit most prolificaly isn't anywhere near its native range but rather Singapore and Malaysia. Instead, it mainly reproduces through vegetative means. Try to get rid of it by pulling and leave any bit of root or plant behind and it will grow back. The lack of seed-producing fruit isn't a limitation at all on arrowhead's ability to spread. Arrowhead vine is a rapid grower and strong climber. It has thick, heavy stems, and that's part of the problem with the plant. It doesn't have tendrils like some vines, or the ability to wrap itself around another plant or object, like others, but its roots can dig and grip even a relatively smooth surface like a fence. Tree bark ain't a thing. It can overtake native trees and, with its weight, make them susceptible to toppling in heavy winds, which can be a real problem in hurricane country. But it's also a threat much closer to the ground, where it's able to form dense patches that can crowd out native plants. 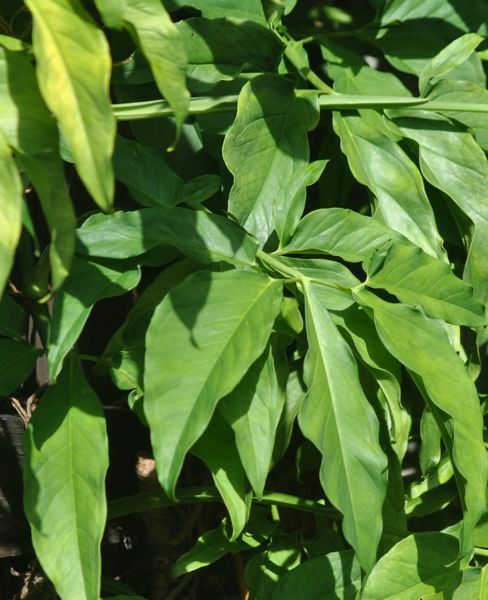 Florida officials say arrowhead vine might be a threat to several native fern species as well. Young leaves are simple but become compound, with as many as nine leaflets, as they mature. Mature leaves have three lobes and are shaped like arrowheads, the inspiration for the common name. However, the leaves can vary in size, shape and color. 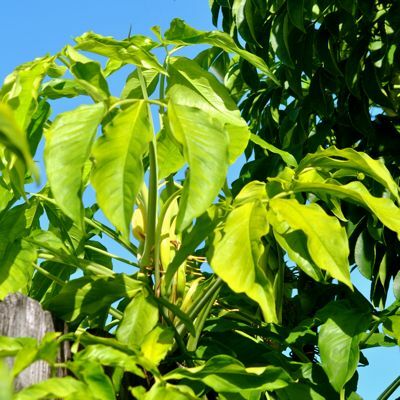 It is commercially grown in the tropics for use as an ornamental — there are at least 10 cultivars of the plant — and that's how it's managed spread to warmer places around the globe. Arrowhead sap contains calcium oxalate, and pulling the plants can irritate the skin. Gloves are recommended if you do have it on your property. 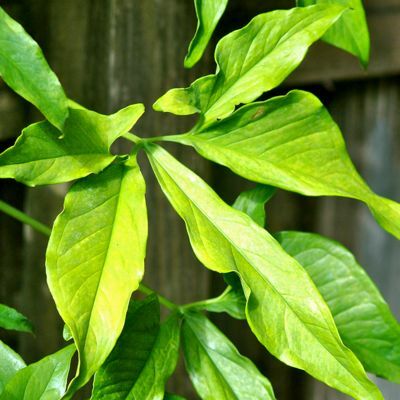 On the other hand, Arrowhead vine is considered among the best houseplants for removing toxins from the air. Arrowhead vine is a member of Araceae, the arum family, which includes caladium, dieffenbachia and green arum. 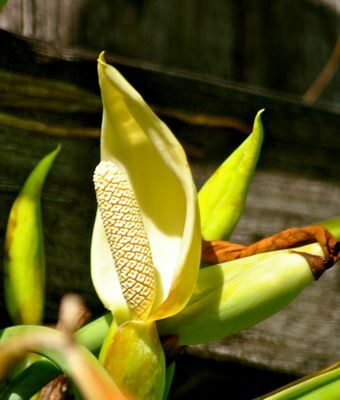 It's also known as Syngonium podophyllum in the scientific community. Other common names include nephthytis, arrowhead plant, five fingers, goosefeet, elephant fingers, syngonium and goose feet..
Unites States Department of Agriculture (USDA) distribution maps for arrowhead vine. 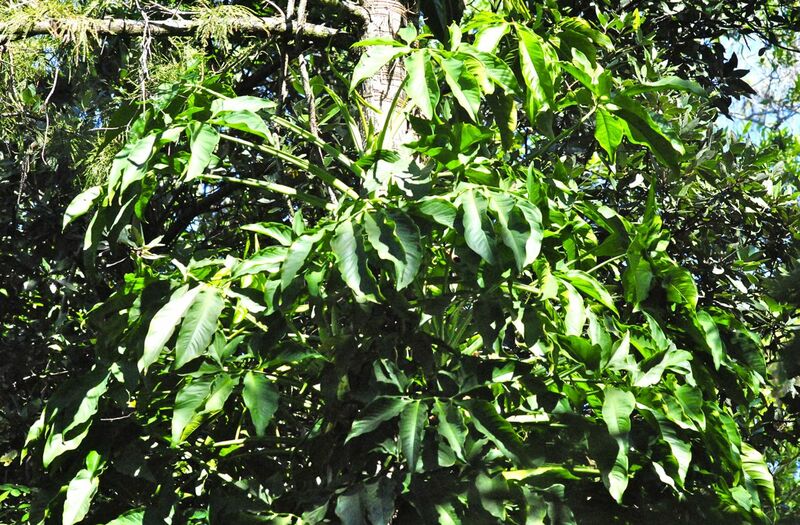 The county map shows arrowhead vine absent from St. Lucie County, but Florida researchers have found it growing there in abundance, raising questions about how widespread this plant has become. Unless otherwise stated, all photographs property of the publishers and may not be used without their express permission.